Famous actress and model Jia Ali was born in Lahore in 1973. She is 44 years old but she still looks gorgeous and young. The actress has not only performed roles in several movies but she also walked on ramp for several famous designers as a model. Iman Ali was born in Lahore on 19th December 1980. The 37 year old beautiful lady is not only a good actress and model but she has also done MS. She is one of the most demanding actress and model of Pakistani media industry but she is still unmarried. Ayesha Khan was born in Lahore on 27th September 1982. She is 34 years old but she could not find her right man yet. She spent most of her childhood in Canada and Abu Dhabi. After completing her graduation, the actress started working as an actress and is now known as a good Pakistani actress. Meera is one of the most controversial Pakistani actresses who was born on 15th July 1977 in Sheikhupura. Despite being involved in many scandals, the actress is still living a single life. But despite that, she is known as a successful film actress. 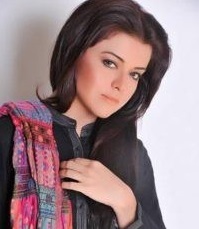 Zara was born on 7th May 1978 in Lahore and she is 39 years old. Zara Sheikh is a famous actress, model and singer but living a single life. In 2000, she started her acting career with Hassan Askari’s film “Tere Pyar Mein” in which she played the role of a Sikh girl fell in love to a Pakistani. Her acting in this film earned her the ‘Best Actress’ award. She has achieved many other awards also so far. 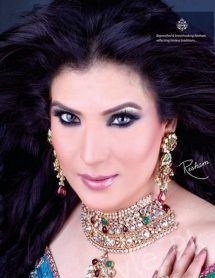 Resham is a famous stage, film and TV actress who was born in Lahore on 2nd October 1978. In 1995, she started her film career with Syed Noor’s film “Jeeva” and has performed lead roles in several films since then. 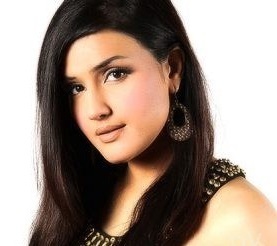 Resham has also performed roles in several TV dramas also. This senior actress of film and TV is still living a single life. Famous actress Mehwish Hayat is 34 years old as she was born on 6th January 1983. Apart from acting, Mehwish Hayat has proved himself to be a very good model also while her height of 5’ 7” makes her one of the tallest models of Pakistan. This single actress achieved the 9th position in the list of Sexiest Asian Women which shows that she is still alluring and beautiful despite crossing 30 years of age. Actress Saba Qamar is currently at the peak of her career while this 33 year old actress was born in Gujranwala on 5th April 1984. The actress is famous not only in Pakistan but also abroad for her versatile acting. She has proved her talent many times but she is single at the moment. Famous actress and model Ayesha Omar is 35 years old and she was born on 12th October 1981 in Lahore. Ayesha Omar is known as one of the most beautiful actresses of Pakistani media industry but she is still single. The actress is also known as a singer and host. 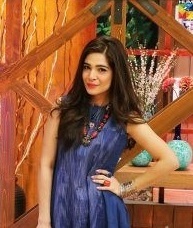 She started her career with program “Kollege” but achieved success with sitcom “Bulbulay”.